For more than a century, researchers were puzzled by the uncanny ability of cancer cells to evade the immune system. They knew cancer cells were grotesquely abnormal and should be killed by white blood cells. In the laboratory, in Petri dishes, white blood cells could go on the attack against cancer cells. Why, then, could cancers survive in the body? The answer, when it finally came in recent years, arrived with a bonus: a way to thwart a cancer’s strategy. Researchers discovered that cancers wrap themselves in an invisible protective shield. And they learned that they could break into that shield with the right drugs. When the immune system is free to attack, cancers can shrink and stop growing or even disappear in lucky patients with the best responses. It may not matter which type of cancer a person has. What matters is letting the immune system do its job. So far, the drugs have been tested and found to help patients with melanoma, kidney and lung cancer. In preliminary studies, they also appear to be effective in breast cancer, ovarian cancer and cancers of the colon, stomach, head and neck, but not the prostate. It is still early, of course, and questions remain. Why do only some patients respond to the new immunotherapies? Can these responses be predicted? Once beaten back by the immune system, how long do cancers remain at bay? Still, researchers think they are seeing the start of a new era in cancer medicine. “Amazing,” said Dr. Drew Pardoll, the immunotherapy research director at Johns Hopkins School of Medicine. This period will be viewed as an inflection point, he said, a moment in medical history when everything changed. “A game-changer,” said Dr. Renier J. Brentjens, a leukemia specialist at Memorial Sloan-Kettering Cancer Center. Researchers and companies say they are only beginning to explore the new immunotherapies and develop others to attack cancers, like prostate, that seem to use different molecules to evade immune attacks. They are at the earliest stages of combining immunotherapies with other treatments in a bid to improve results. “I want to be very careful that we do not overhype and raise patients’ expectations so high that we can never meet them,” said Dr. Alise Reicin, a vice president at Merck for research and development. But the companies have an incentive to speed development of the drugs. They are expected to be expensive, and the demand huge. Delays of even a few months means a huge loss of potential income. 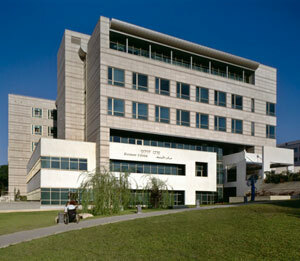 Israel’s Rabin Medical Center Davidoff Cancer Center is committed to cancer research and the best treatment of patients. Each year thousands of patients choose the Davidoff Center’s multidisciplinary approach that saves lives and provides patients with the best personalized treatment options and quality of life. 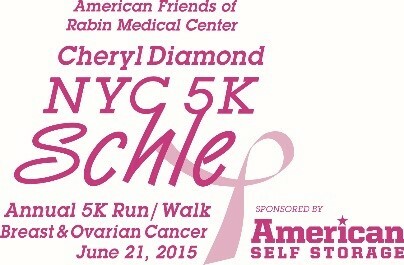 In support of Breast and Ovarian Cancer, upcoming is our fifth annual Cheryl Diamond NYC 5K Schelp Walk on Sunday, June 21st 2015. Throughout their lifetimes, one in seven women will be diagnosed with breast cancer and over 22,000 women will be diagnosed with ovarian cancer annually.